In less than three weeks the photographic industry will converge on Cologne, Germany for the bi-annual photo technology-fest. Some of the biggest industry announcements are always made around Photokina, and this year is no exception. 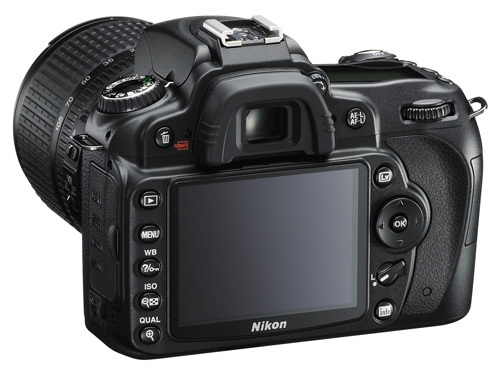 We already have the announcement of the most expected new DSLR at Photokina in the Nikon D90. You can check out the announcement by clicking the Nikon D90 link. We also have the most unexpected DSLR announcement so far in the Canon 50D. Canon had been like clockwork in 18-month announcements of new members of the 40D-30D-20D "prosumer" series, but a new Canon prosumer model had never been so poorly received as the Canon 40D. This time around Canon has fierce competition from Nikon, Sony, and even Pentax with higher resolutions, faster frame rates, and even higher ISO performance. In particular, the Sony and Nikon higher-res and more detailed LCD displays helped encourage many shoppers to buy the competing models instead of the 40D. 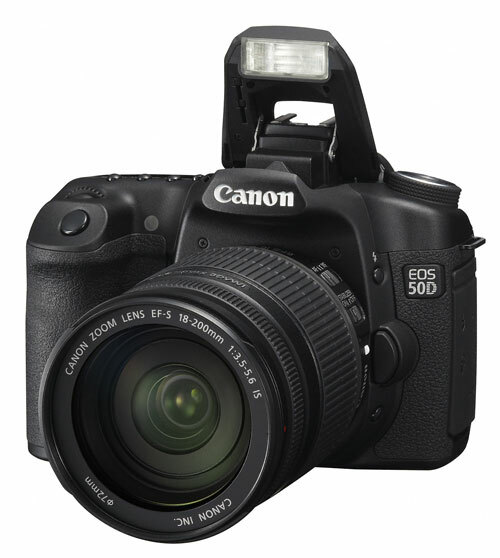 Certainly the competitive environment pushed Canon to crank up their release schedule, so we now have the early Canon 50D. With 15.1MP (megapixels), a now similar hi-res LCD to the competition, and ISO options extended even further the 50D now looks like it should compete very well in prosumer space, keeping Canon loyalists happy and perhaps even winning some new users over to Canon. The two biggest announcements expected at Photokina, both full-frame DSLR cameras, have not yet been announced. Sony showed prototypes of their new full-frame at PMA in January with the promise it would launch this year. Everyone expects that to occur at Photokina. The other full-frame we expect is from Canon, as the Canon 5D is now 3 years old. While it is a competent full-frame, it no longer is up to date in current Canon checklist features or the latest faster generations of Digic processors. The new 50D features Digic IV while the aging 5D is still using Digic II. Canon has most industry observers scratching their head because they have already made pre-Photokina announcements and the 5D Mark II (3D or 7D have also been rumored) is just not there. In the past Canon made DSLR announcements in a single group, but either this year will be different or the 5D replacement is delayed again. With so much happening so fast, let's take a closer look at the best info and rumors we now have on both these new full-frame cameras. Forgive me for not being too excited about the "big guns" that are outside of my price range, and expertise really. We appreciate your comment, but the issue with the S5 IS and G0 is the same that manufacturers are now facing with almost any high-end point-and-shoot camera. For the suggested S5/G9 price range of $349 to $499 you can also buy a Sony A200 with a decent 18-70mm kit lens or a tiny Olympus E-420 with a 14-42mm kit lens. Both are real interchangeable lens SLRs with sensors that are huge compared to the S5 - which means much better low-light shooting and higher quality pictures. The Sony has built-in Image Stabilization and the E-420 has Live View that will be familiar to those who use P&S cameras. Just $100 more and you will find the tiny Canon XS kit and Nikon D60 kit - both with image stabilized kit lens - and the Olympus E-520 which adds Image Stabilization to the small E-420. The industry is having a difficult time building upper end Point-and-Shoot cameras that make economic sense today. It is likely that the Olympus Micro four-thirds just announced will bring new point and shoots with larger sensors and capabilities more like current DSLRs with a familiar P&S form factor. I had a Canon S3, I partly bought it to help my wife get used to the idea of having a little bigger camera for when we eventually upgrade to an SLR. To my dismay she hated how big it was and that is couldn’t fit in her purse/diaper bag. So when it broke a few months ago one of the requirements was it had to be small enough to fit in her purse. We ended up with a Panasonic TZ5. I like the larger LCD, long zoom, and 720p video and she likes it can fit in her purse. She is the one with the kids all day so it was important we got something she was happy with. So while I agree that SLRs are defiantly where things are going and the biggest innovations are happening but I also believe P&S have their place (it would be great if they got a modified SLR sensor like you mentioned). I still plan to upgrade to an SLR but it will have to wait till I find one with the features that I want for the price I want…and when I stop spending money on computer parts and home theater equipment. The 4/3 sensors, while the smallest of the dSLR sensors, is still almost 8x the area of the sensor used in the TZ5. Barring a revolution in lens construction, there is no way to make a superzoom camera around a dSLR-class sensor pocketable. The micro 4/3 does away with the mirror box and significantly reduces the lens to film plane distance to 50% of the current 4/3 distance. You will likely be surprised at how small the micro 4/3 can be when the cameras start appearing at Photokina later this month. It is our uderstanding that current 4/3 lenses CAN be mounted on micro 4/3 but that an adapter with a spacer block is needed for mounting. THere will also be smaller Micro 4/3 lenses introduced. I'm basically expecting 1/2 to 1/3 scale rangefinders. So sure they'll be small and high quality, but I'm doubting they can get an 11x zoom and a body small enough to match the TZ5. The P&S cameras don't have a mirror box to deal with either, and the sensor is far smaller so the glass can be as well.